With the sound switched off cinema becomes a visceral and visual experience. Without audio clues to connect readers to narrative, a film becomes unhinged; and yet without visuals, an aural experience treats a reader to an era bygone when radio transmissions told history and the wondrous human brain filled in the appropriate imagery. It was a familial experience but a deeply personal one as well: only the individual reader can ever know the deep hues of dusk or staccato contours of landscape. It will vary from person to person but the amorphous nature of memory renders sharing this experience subjective, wrong, and boring. Knowingly watching a movie with the sound off is bizarre in a different way. This method allows for shared experiences; families huddled around a coffee table talking over the television as if it were furniture; waiting rooms with broken speakers; a neighbor’s airplane seat. If the reader has seen the film before, her memory will fill in gaps with enough internal dialogue to render the experience manageable or pleasant, even. It can be a new head for an old hat. Midnight Express offers an experience situated somewhere in the middle. The visual is full and common to the reader, but the language is intermittent: Midnight Express is written in English but set in Turkish for all intents and purposes. A reader will learn facts and frames of mind from the language spoken among native English speakers (assuming that the reader’s native or learned tongue is English! ), but the sparseness among the Turkish manifests in uncanny glares and pure contempt. 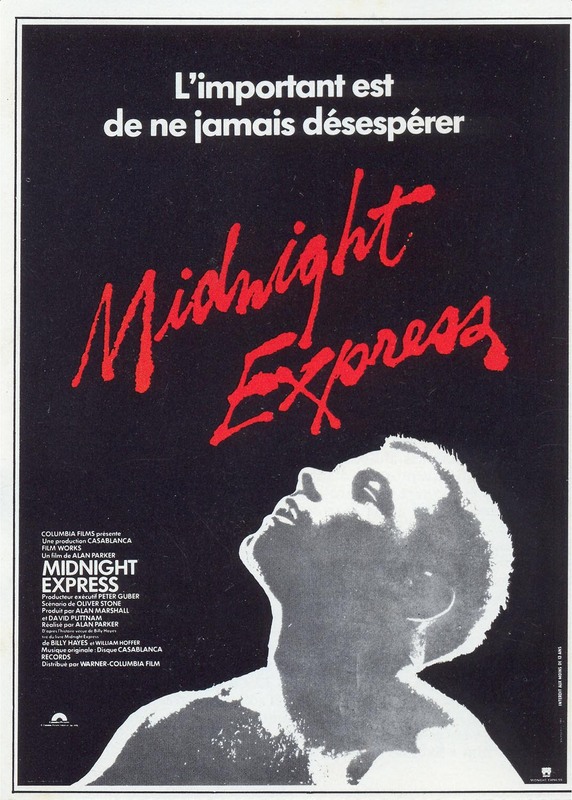 Later, the team responsible for this movie would apologize for how Midnight Express portrayed native Turkish people – which is telling in embedded globalization that film would have an impact on international relations. This fact surrounds its lore, but the key point, and the middle-driver is that the production team deliberately omitted the Turkish subtitles, and with them the tacit understanding that language is merely a driver for understanding and not the sole purpose of language and meaning ipso facto. What is more remarkable is this: upon initial viewing this omission feels like a post-editing error that everyone forgot, and two remedies exist depending once again on individual preference and experience. One, ignore and assume that it does not matter that the subtitles are missing or two, fervently search for a solution to a problem that is unsure to exist. The first one is either some deep understanding of artistic intent that no one has or a supreme laziness to research further the loaded “Why?”. But both of those positions are masterfully self-absorbed and, if pushed, surface-level nonsense. More likely, since the human condition has evolved to drive curiosity at all levels, including the itch to answer this question that is not really a question, a desire to fiddle, upgrade, update, and have results and responses manifests at every turn. As a species, “letting it go,” is akin to failure in some respects, and culturally, American exceptionalism balks. This film plays with coded language as meaning when there is none and answers to questions that do not exist. So instead of sharing a visual experience that codes language and nothingness into a fantastical (and true-ish) experience, readers instead bicker and fight over this need to be right about being wrong. That the “subtitles” become come via visuals is different and non-pragmatic but impeccably apt in context – the reader can empathize more fully with Billy (Brad Davis) – and more closely watch the film, even with the sound turned off. The Deer Hunter won Best Picture for 1978, as an apropos and poignant response to Vietnam (eight years before Platoon won, but a year before Apocalypse Now unsurprisingly lost; timing and perspective seem to play a massive role in public and Academy issuance) and beat another Vietnam-themed film (Coming Home), and incredibly fun film, Heaven Can Wait, and what seems to be a reflexive mood piece, An Unmarried Woman. In past entries, ANP has argued that films that touch the same/similar subject in the same year (and now adjacent years) will strike both from the record: but this rule, naturally, has an exception. The two movies about Vietnam are actually “about” much more, and Midnight Express captures the year’s Occidental stifle, when in fact it shares much more of its dialogue and diatribe with Z than with either The Deer Hunter or Coming Home.